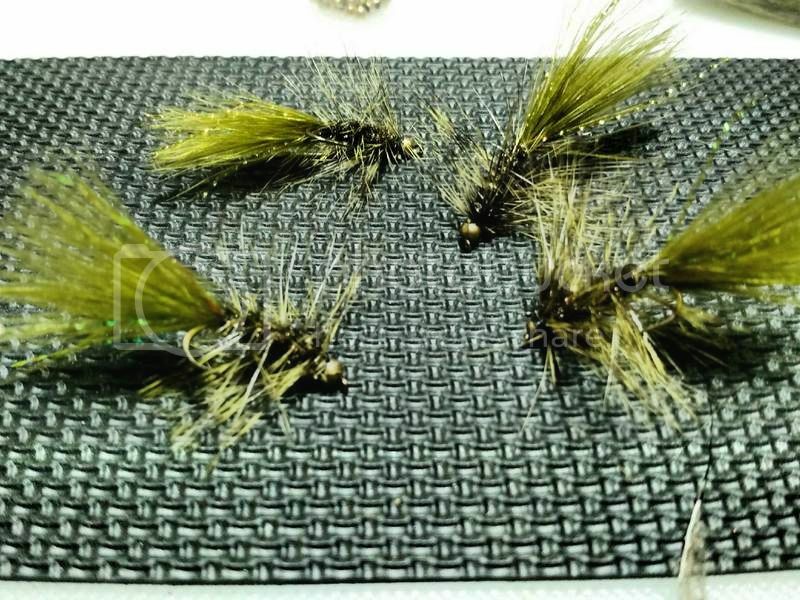 Working on a #12 or smaller Woolly Bugger for some small stream fish. This where I;m at so far. Inital tests are really positive so far. Wild and stockers a like. Should work for Bream, Bass and Crappie as well in different colors. Those look good Brad. don't see why they wouldn't get bit just the way they are. I've become a big fan of rubber legs over the years. Seems like fish just can't stand the sight and just have to eat them. Thank you. May try a few with legs. I put legs on the bigger ones to get by as a crayfish for smallies. 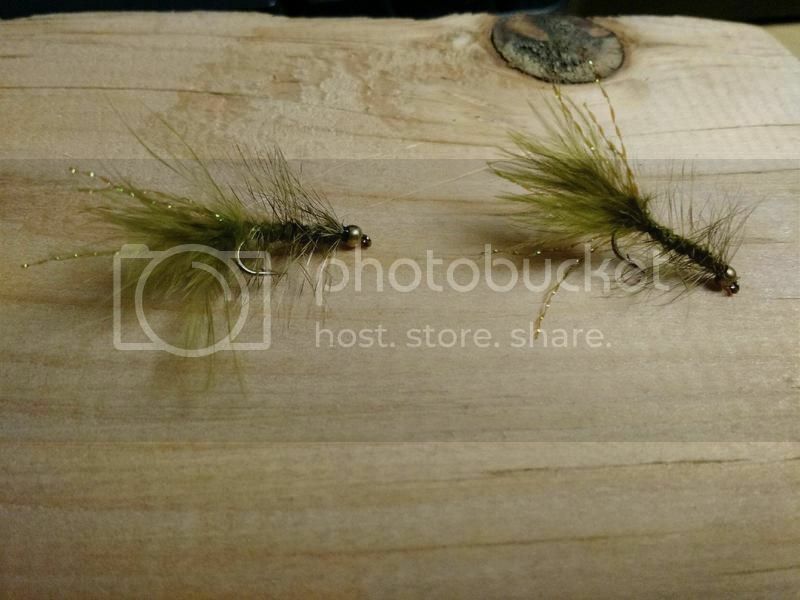 I,too, like rubber legs on them especially for bluegill. And olive is a good panfish color. I have caught thousands of bluegill/sunfish on Bully Bluegill Bugs and the colors that work best overall are in the yellow/green spectrum.